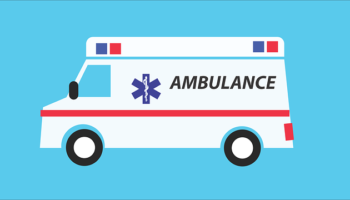 Who Is Liable in an Ambulance Accident? When negligence leads to ambulance accidents that result in injuries or death, negligent medical employees and sometimes the EMS provider or agency may be liable for the losses incurred. When responding to emergency calls, many ambulances are found speeding, dodging through traffic, ignoring traffic signals, and performing other dangerous driving behaviors to get where they’re going. Although these vehicles use sirens and flashing lights to notify others that they need the road cleared, they are still responsible for using good judgment and keeping other road users safe. It isn’t just the actions of the ambulance driver that count in an accident case, however. Other ambulance personnel, people responsible for hiring, training and supervising workers, the maintenance team, and other members of the EMS system may also be at fault. These factors can place the patient, a loved one who may be in close company, a pedestrian, as well as any other vehicle on the road in serious danger. Emergency vehicles are about 4.8 times more likely to be involved in a fatality collision than other cars and trucks on the road and ambulances are at a higher risk for becoming involved in a collision than other emergency vehicles. Ambulances are involved in approximately 6,500 accidents every year. In about 35 percent of these crashes, at least one injury or fatality occurs. An emergency response vehicle driver is given additional liberties in the use of the road. The fact that he or she is exempted from certain traffic laws, however, should only make EMS drivers more responsible. Emergency response teams need to exercise a high level of professionalism in their duties. They should hold the health and safety of all people as their highest priority since they are entrusted to ensure such. The company whose employees exercise negligence that leads to accidents and injuries may also liable for inadequate staff training.